[6 September 2016] Three Tibetan nuns have committed suicide in protest against the state-sanctioned demolition work at the Larung Gar Buddhist Institute. Two of the nuns left notes expressing their extreme distress at the destruction. In addition, families of residents at Larung Gar could face punishment if their relatives fail to comply with the official expulsion orders. [6 September 2016] Three Tibetan nuns resident at the Larung Gar Buddhist Institute, which is being partially demolished under orders of the Chinese government, have committed suicide in protest. Two of the nuns left notes expressing their extreme distress at the destruction. On 20 July, the first day of demolition work at Larung Gar, a nun identified as Rinzin Dolma (pictured right) committed suicide at the Pema Khando nuns’ residence (part of the Larung Gar complex). According to local sources, Rinzin left a note saying she could not “bear the pain of the endless Chinese harassment of innocent Buddhists who quietly studied at the institute”. She is also said to have requested the little money she owned be donated to the Institute. Two further suicides have also been reported to have taken place at Larung Gar. Tsering Dolma (pictured right) and Semgha, both nuns at Pema Khando nuns’ residence hanged themselves in protest against the demolition. The exact date of these suicides is not clear with some reports indicating 19 July and others mid-August. Communications with Larung Gar have been restricted by the authorities in an effort to block sensitive information from reaching the outside world. On 17 July, another nun attempted to kill herself in protest, however she was reportedly stopped by fellow nuns. 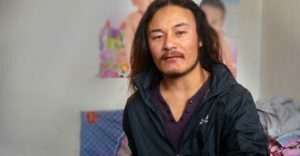 [6 September 2016] The Chinese authorities are threatening punishment to families of those who refuse to leave Larung Gar. The initial expulsions have focused on those from the Tibet Autonomous Region (TAR). Monks and nuns from Driru county in Nagchu prefecture (TAR), were among the first to be targeted with expulsion from the Institute. According to a source from Radio Free Asia, they were warned their families would face ‘consequences’ if they failed to comply, including a ban on collecting Cordyceps, also known as caterpillar fungus, which is a major source of income for many Tibetans. Others from the TAR, including Lhasa and the prefectures of Ngari (Chinese: Ali), Nagchu (Ch: Naqu) and Chamdo (Ch: Changdu), have also been expelled, with family members ordered to collect their relatives from Larung Gar. The same source also revealed the monks and nuns from the TAR had been “harassed” and subject to ‘political re-education’ classes that went on for weeks, in the lead-up to the Larung Gar demolitions. The Chinese government has ordered the expulsion of half of the population of Larung Gar, one of the world’s largest and most influential Tibetan Buddhist institutes. According to an official government order, the 10,000 population is to be reduced to 5,000 by September 2017. The demolition of dwellings began on 20 July 2016. The population reduction is part of a strategy by the Chinese authorities to place the Institute under government control and ensure it conforms to Party policy. The strategy includes increased surveillance, “ideological guidance” and the creation of management committees led by government officials. Larung Gar is located in Serthar county, Kardze prefecture, in the traditional Tibetan province of Kham (now incorporated into China’s Sichuan province).